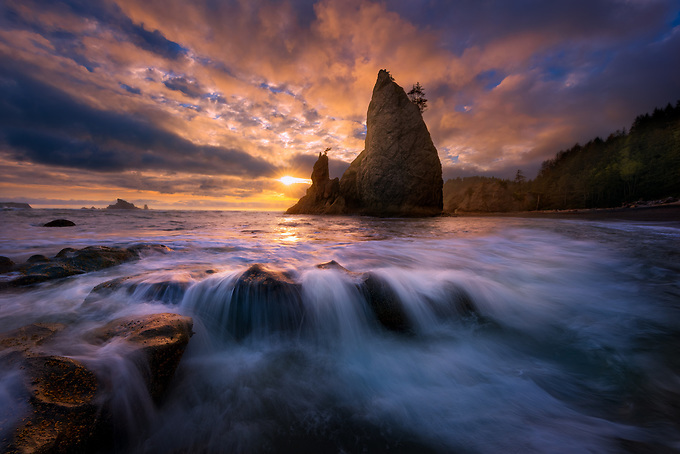 A gem of the Olympic Peninsula, Rialto beach has many such sea stacks rising from its depths. One particularly photogenic spire collapsed within the last year. The remnants from its collapse are now being interred by the sea. This particular evening, an incoming tide produced beautiful cascades across its fractured remains.